Price: $76.00, incl. postage and handling, for a personally signed and personalized [if requested] copy. Order yours today. Just email us at: billiard@avalon.net, or call between 9 AM and 8 PM, any day, [Iowa time] to make your purchase. Satisfaction guaranteed. 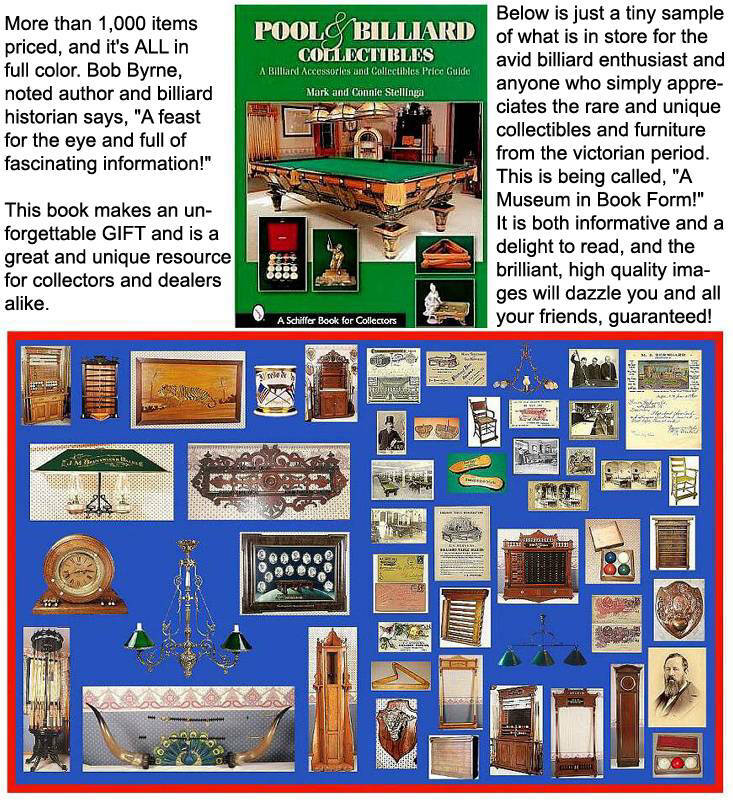 A book like you've never seen as this is the ONLY book on antique billiard items we know of today.